The Range Rover is firmly established as the pinnacle of shooting vehicles. However, in the motoring world constant development is required to stay ahead of the competition. As such, Land Rover has released new versions of the Range Rover, Range Rover Sport and Discovery this year. Running costs on a Range Rover, like many premium vehicles, can be high. However, this new model brings a number of significant improvements, including improved fuel economy and CO2 emissions in the two new petrol engines. These engines and the existing V8 twin turbo diesel sit alongside exterior design changes, a redesigned interior and a host of technological innovations. The new petrol engines are both five litre V8s that were built in conjunction with Jaguar. The supercharged version produces 510bhp and is capable, staggeringly, of taking this two and half ton car to 60mph in just 5.9 seconds – just over half a second more than a Porsche 911. There are also some new pieces of technology inside the vehicle that are particularly attention grabbing. The new touch screen interface is one such system, as it allows the driver and passenger to watch two separate images, such as satnav and a DVD, simultaneously on the same screen. There are also a range of improvements to the materials and switchgear, making the interior an even more luxurious place to be. Outside, visual changes are relatively small, bringing the now ubiquitous LED running lights, slightly redesigned headlamp clusters and a new front bumper and grille. The overall effect is good, however, making the car appear smaller and lower. Underneath, the various stability programs have been updated, bringing a number of new safety aids as well as improving ride quality and dynamics. These safety aids can do anything from reducing engine power if you take a corner too quickly to automatically monitoring your blind spots and applying the brakes in order to prevent accidents. There is also a new system of cameras on the car which can provide an almost 360 degree view of the car when manoeuvring, which is particularly useful when towing. As you would expect, off-road performance has also been boosted by updates to the Terrain Response and Stability Control systems. Improvements here mainly focus on traction in sand and handling over rocky terrain, though Hill Descent Control has also been significantly improved. 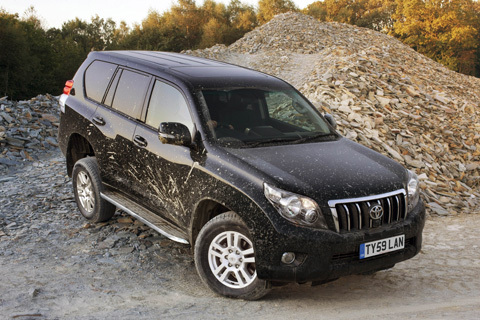 This, along with an upgraded braking system, makes the vehicle almost effortless to use off-road. It is unlikely to be tested by any terrain on a British shoot. If you can afford it, no other vehicle offers the quality, luxury, flexibility and performance. 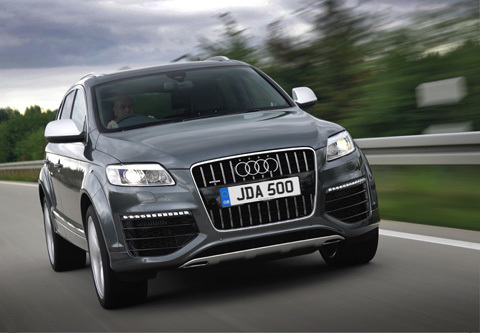 Audi’s top of the range 4×4 is a monster of a car and the firm’s closest competitor to Land Rover’s best. It has all the space a shooting man could require and the build quality is superb, as we have come to expect from the German manufacturer. This vehicle has a justified reputation for rock-solid build quality and the ability to go almost anywhere off-road. Though it lacks the indulgent interior luxury of some of its competitors, you will find these at shoots up and down the country due to their famed reliability. Anyone who has ever watched a James Bond film will no doubt have dreamed of one day driving an Aston Martin. But one of these cars is in closer reach than you might realise. 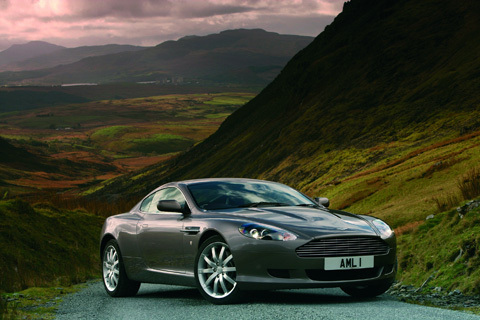 The DB9 is a modern automotive icon and among the best cars the British firm has ever produced. Though they start at £116,908 new, there are many excellent used examples on the market: 04 plate cars are available for under half that amount. A small price to pay for one of the world’s most beautiful cars.